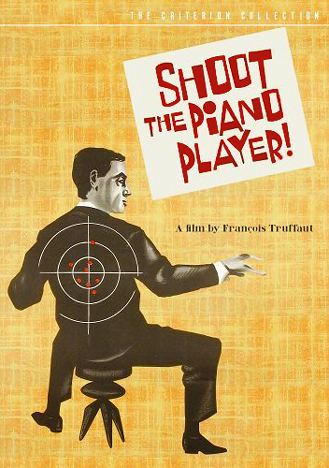 The piano player of a bar is confronted with his past when his brother shows up pursued by murderous thugs. Neo-noir. This movie, based on David Goodis' novel Down There, is generally overshadowed by another new-wave noir, Jean-Luc Godard's groundbreaking Breathless, which preceeded it by about seven months. However, Piano Player should not be seen as a bargain-basement Breathless. It's a unique film, wonderfully conceived and executed.